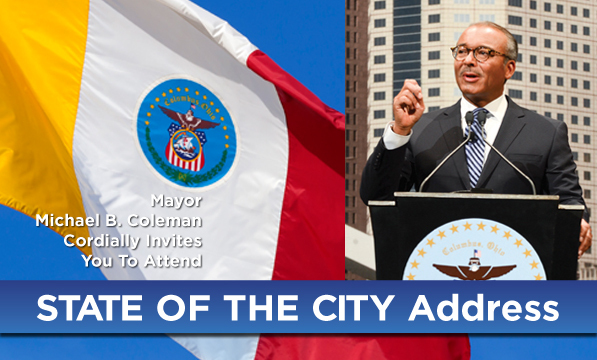 The 2013 State of the City Address is February 21, 2013 at 6:00PM at the South Urban Academy, 1160 Ann Street. 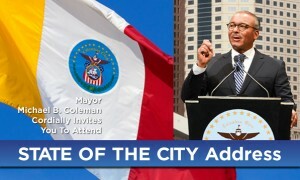 For directions and to RSVP online, visit http://mayor.columbus.gov/soc2013. 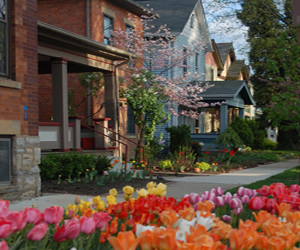 Mayor Michael B. Coleman took office with a commitment to improving the quality of life for families in Columbus neighborhoods and has set forth a variety of strategies to support that vision. A reception will immediately follow with light hors d’oeuvres and refreshments.